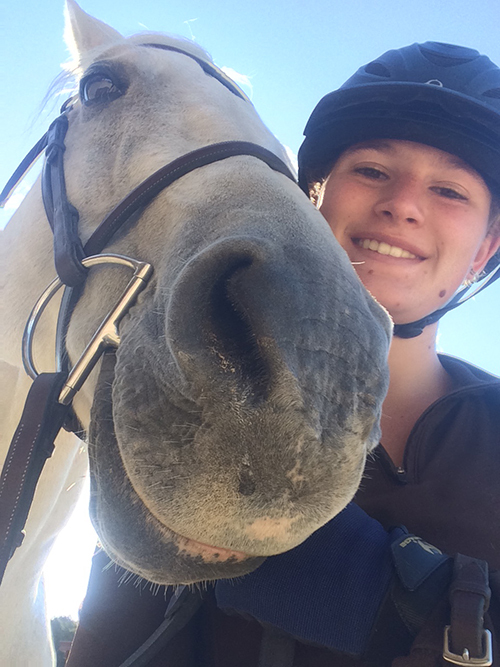 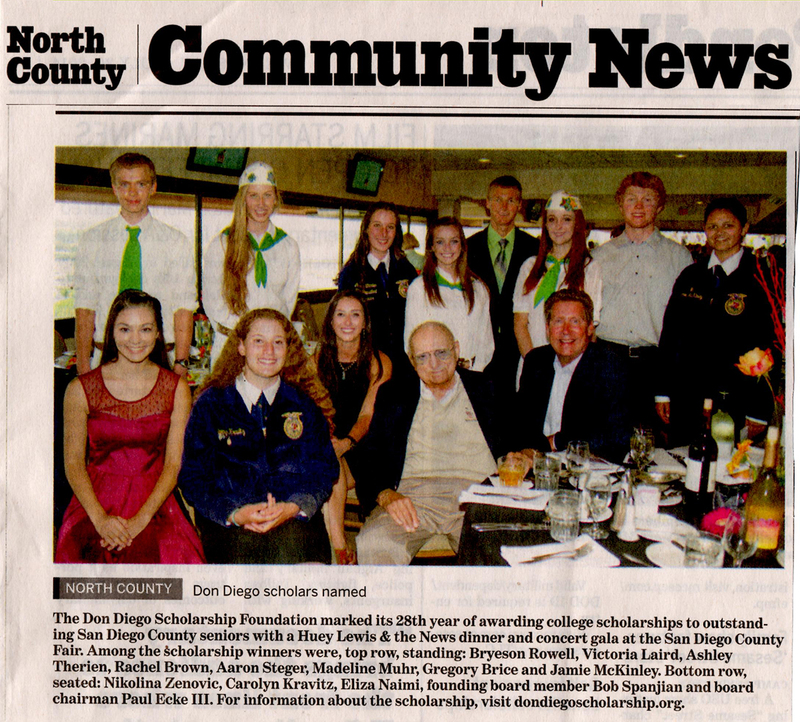 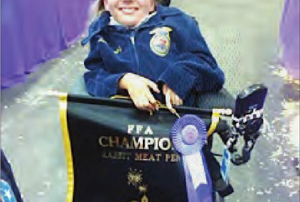 The Coast News features Amy Wehner, one of our 2015 scholarship recipients on page 9. 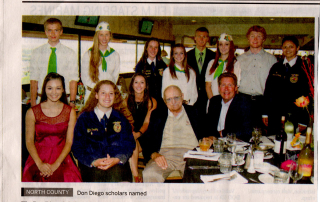 Charity Fair Horse Show President Susan Farrior of Rancho Santa Fe recently presented a check for $6,000 on behalf of the Horse Show to her fellow Don Diego Scholarship Foundation Board members in support of Don Diego’s mission to provide college scholarships to outstanding San Diego County high school seniors who have participated in Del Mar Fairgrounds events. 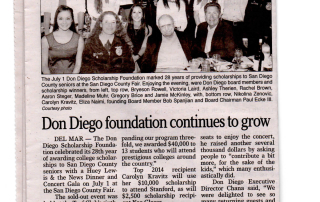 The Don Diego Scholarship Foundation marked its 28th year of awarding college scholarships to outstanding San Diego County high school seniors with a Huey Lewis & The News dinner and concert gala. 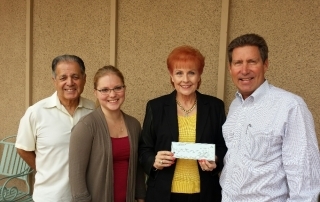 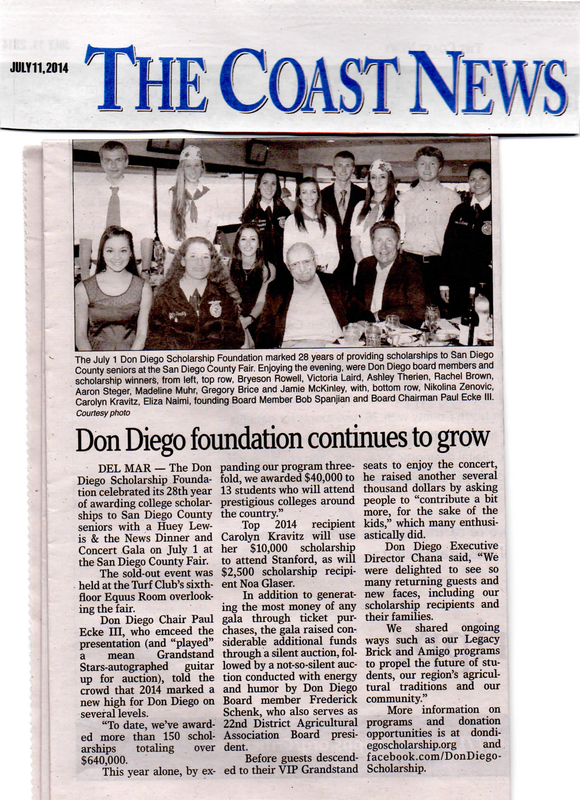 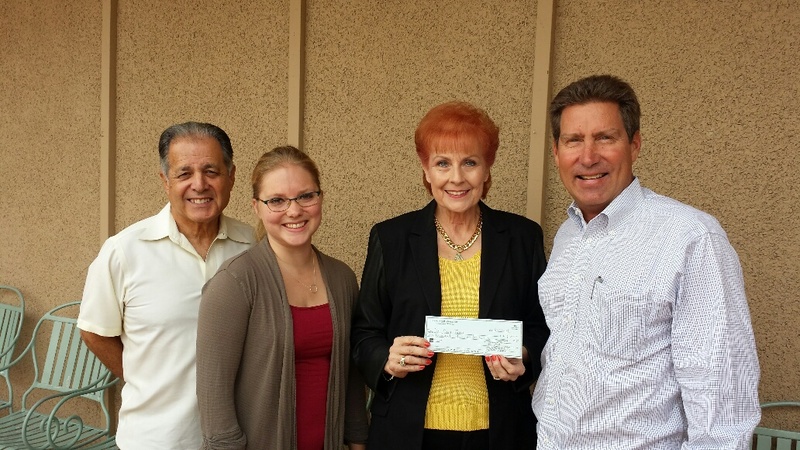 More than 75 people gathered at the San Diego County Fair’s Plaza de Mexico on opening day, June 7, 2014, to see their new Don Diego Scholarship Foundation legacy bricks paving a path to the Legacy Brick Fountain. 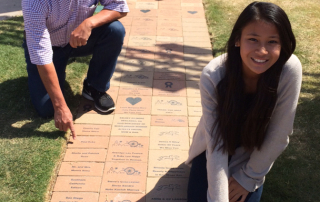 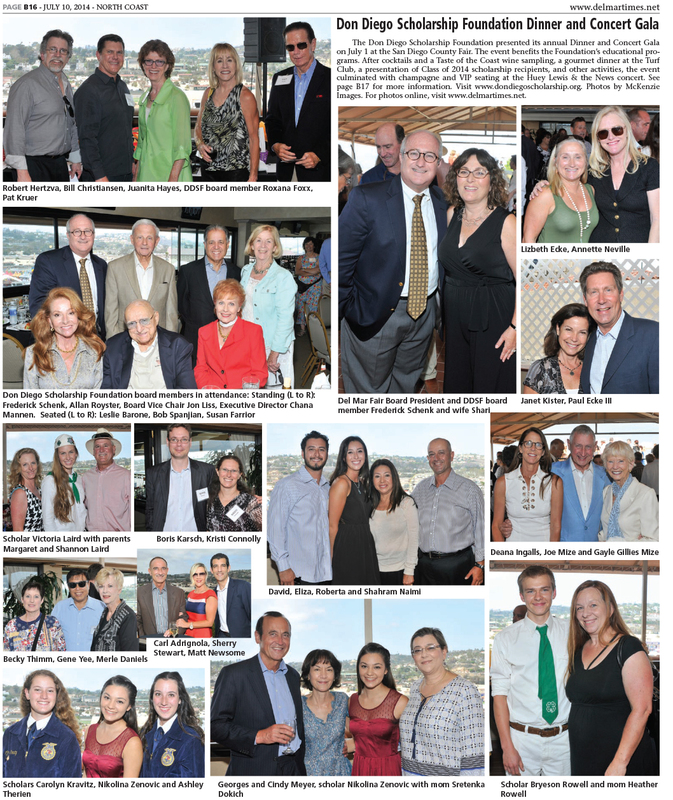 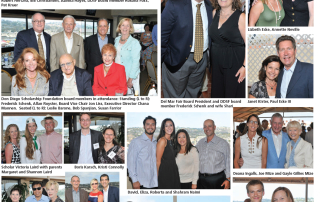 Published in the Del Mar Times: All of the Legacy Bricks honoring Don Diego Scholarship Foundation recipients are as special as the scholars they represent. 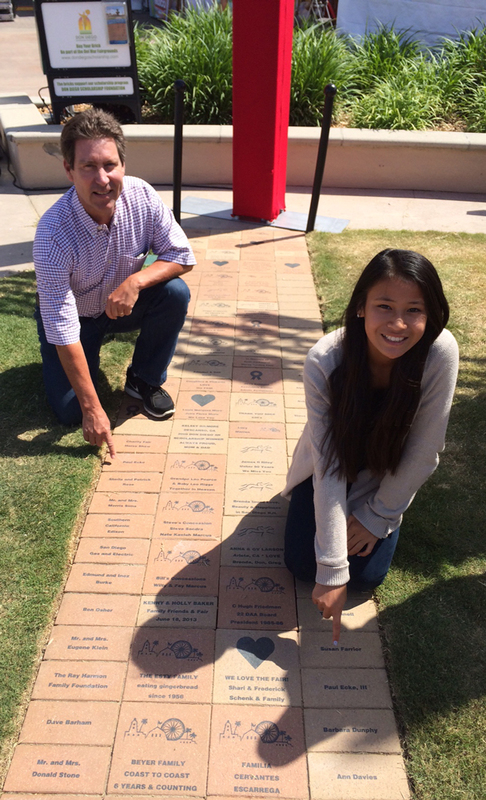 The bricks of scholars, board members and contributors embellish pathways at the Don Diego Legacy Brick Fountain in the Plaza de México at the Del Mar Fairgrounds. 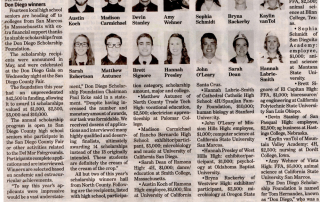 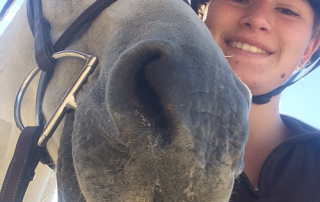 Canyon Crest Academy senior Scott Jacobson has been awarded a $5,000 college scholarship from the Don Diego Scholarship Foundation, the nonprofit arm of the San Diego County Fair.